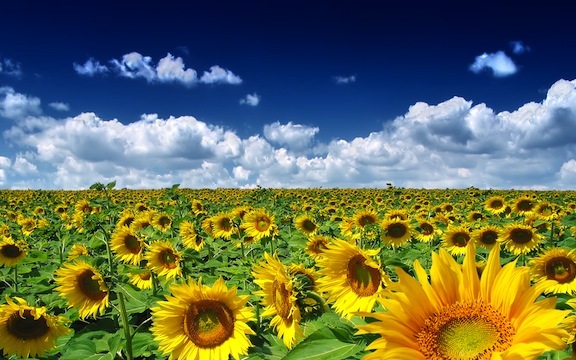 Classical music: Today, Sept. 22, 2014, is the first day of Fall. 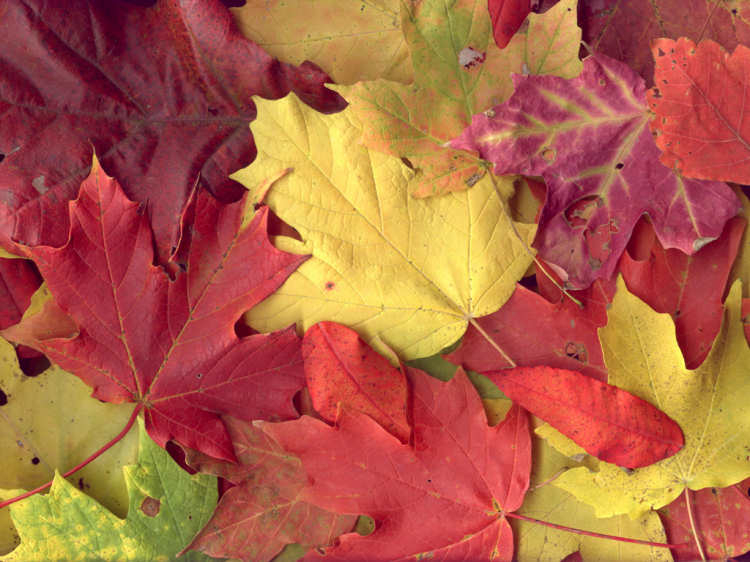 So The Ear plays two of Richard Strauss’ “Four Last Songs.” But what would you listen to to mark the coming of Autumn? Today is the first day of Fall in the Northern Hemisphere. The Autumn Equinox arrives tonight at 9:29 p.m. CDT. This year, the timing of the season and the music I recently listened to worked out just perfectly. Last week, you see, The Ear went to see the film “The Trip to Italy” (below), a sequel with British funnymen Steve Coogan and Rob Brydon. It was made by the award-winning director Michael Winterbottom, who also directed the first installment. I loved the first one, “The Trip,” in 2010. But like so many sequels, this film suffers from self-indulgence. There was too little plot, a lot of impersonations that are not immediately recognizable or entertaining, and the film goes on for too long. The movie has its enjoyable, entertaining and touching moments. to be sure. But the really outstanding characters in this film are the Italian landscape and Italian cuisine, captured in stunning cinematography. But, oh, the music! That was the high note, so to speak, for The Ear. 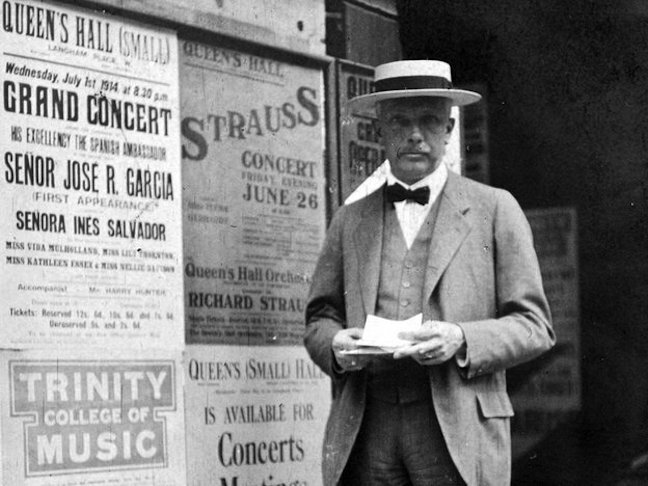 A recurrent theme is from “Four Last Songs” by the Late Romantic Richard Strauss (below, in 1914). It is “Im Abendrot,” and it strikes the right notes, even for The Ear, who not a big voice fan, whether in choral music, opera or Lieder and art songs. I was thinking of some appropriate music to play for the coming of the new season. There is always “Autumn” from “The Four Seasons” by Antonio Vivaldi or the new “Four Seasons in Buenos Aires” by Astor Piazzolla. Then there is the late piano music and chamber music of Johannes Brahms, so often and aptly described as “autumnal.” Of course, the symphonies and songs of Gustav Mahler qualify as do many of the songs of Franz Schubert. And there is more, much more. But this year, perhaps because of personal circumstances and sheer coincidence, anyway I found the Strauss songs — which were composed in 1948, a year before Strauss died at 84 — perfectly appropriate and fitting in mood. Here are two of them, found on YouTube video and sung by the incomparable soprano Jessye Norman with Kurt Masur conducting the Leipzig Gewandhaus Orchestra on the Philips label. And then there is “September” from the poem by Nobel Prize-winning German writer Hermann Hesse. I hope you enjoy these two songs by Strauss and also find them fitting to the season, just as I hope we have sunny and warm, a long and colorful Fall. And I would love to know what other music best expresses the new season for you. Just leave your suggestions, with YouTube links if possible, in the COMMENTS section. 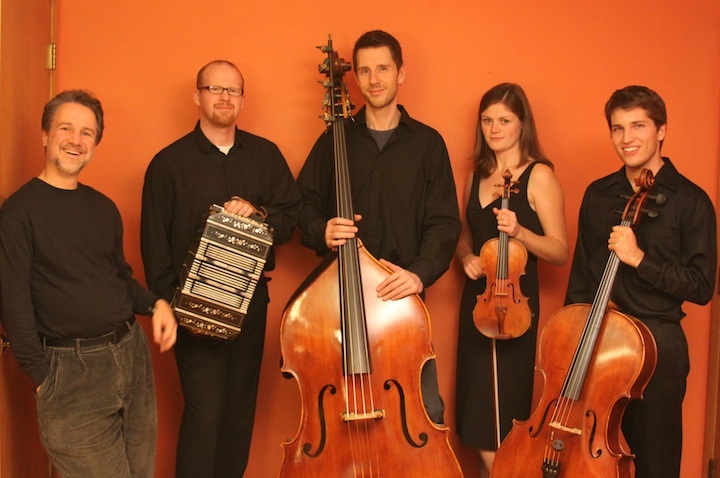 Classical music: Tangos will be featured in a FREE concert by the Yzafa Quintet this Monday night at 7:30 p.m. in the Unity Chapel in Spring Green. This Monday night at 7:30 p.m. the Yzafa Quintet will perform a FREE concert of tangos at the Unity Chapel in Spring Green. Members of the quintet include (bottom left to right) Doug Brown, Michael O’Brien, August Jirovec, Amber Dolphin and Jamie Davis. 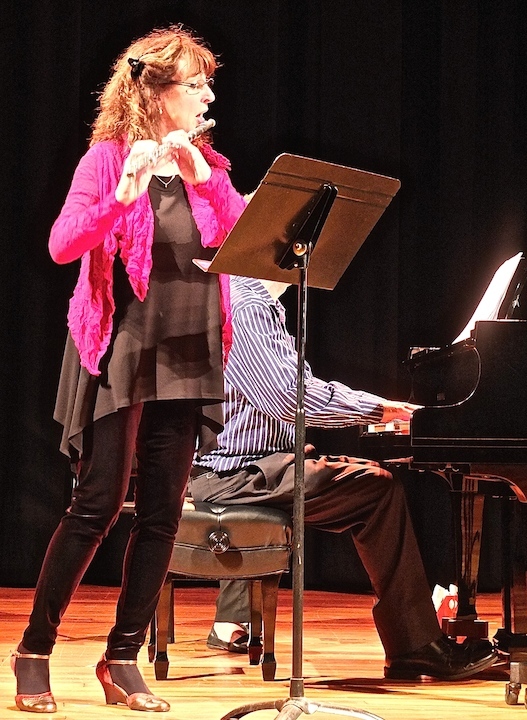 To The Ear, it sure seems like this certainly has been the year for South American music in general and tangos in particular in the Madison area. The Wisconsin Youth Chamber Orchestras’ Youth Orchestra (below) left yesterday for an extensive 10-day tour of Argentina, the home of the tango, which legend says was first danced in brothels. 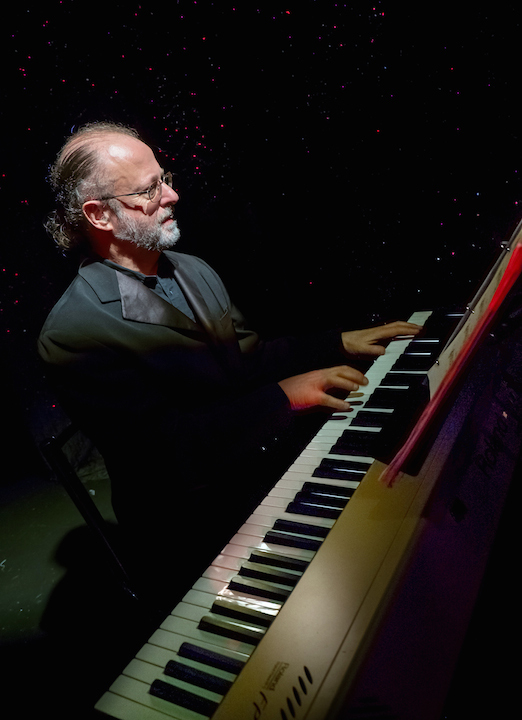 Earlier this summer, The Bach Dancing and Dynamite Society performed a dozen tangos by Astor Piazzolla and other composers with the help of Uruguayan pianist and tango master Pablo Zinger (below). And flutist Stephanie Jutt (below), who is a co-founder and co-artistic director of BDDS, who teaches at the University of Wisconsin-Madison School of Music and who is principal flute with the Madison Symphony Orchestra, has performed and recorded a bunch of tangos she brought back from a sabbatical year she spent in Argentina. Well, you really can’t blame them at all for programming tangos. Was there ever a sexier or more sensual, more seductive dance –- even if you don’t actually dance it? And Madison isn’t alone in succumbing to Tango Fever. The tango is a partner dance that originated in the 1890s in working class districts of Buenos Aires and along the Río de la Plata, the natural border between Uruguay and Argentina. Soon it became wildly popular around the world. The dance derives from the Cuban and Argentine dance styles. It is said to contain elements from the African community in Buenos Aires, influenced both by ancient African rhythms and the music from Europe. In 2009, the tango was declared part of the world’s “intangible cultural heritage” by UNESCO. Quinteto Yzafa (pronounced “ee-SAH-fuh”) is dedicated to a fresh, dynamic approach to traditional Argentine tango music. With backgrounds in classical music as well as jazz, bluegrass, Arabic music, Latin American folk and popular dance styles, the musicians perform tangos, waltzes and milongas from the 1910s through the present day. Their dynamic new arrangements have the variety and intensity to entertain concert audiences, but they never lose the danceable essence of the true tango. They delight schoolchildren and serious tango dancers alike. 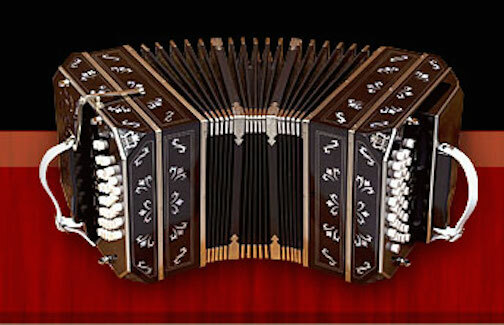 The ensemble’s sound features the bandoneón (below), the characteristic 71-button relative of the accordion whose distinctive timbre is essential for traditional tango music, filled out with the rich tones of a full string section (violin, cello and double bass) and piano. 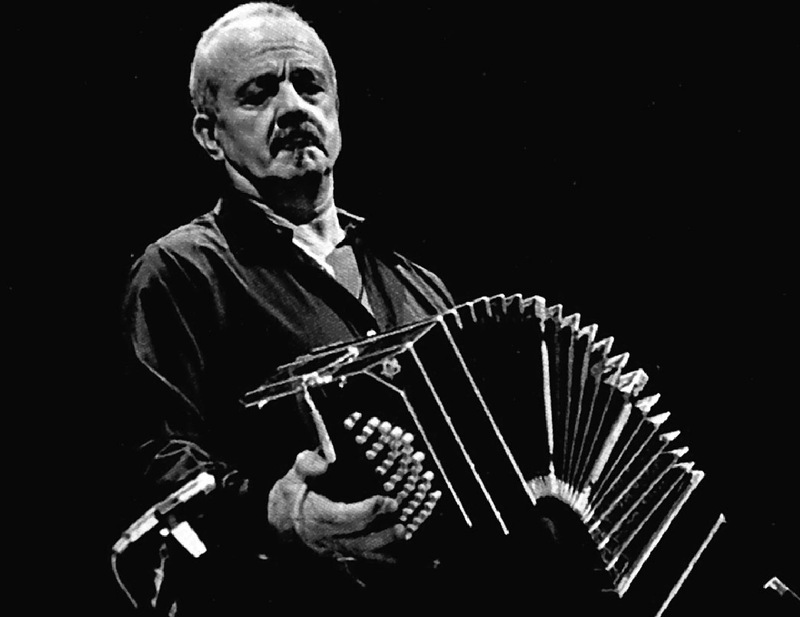 Bandoneon player and composer Michael O’Brien says he was inspired by the Argentinian classical composer Astor Piazzola (below bottom). “There was something about the combination of sinuous, expressive melody interspersed with periods of brutal dissonance and percussive playing that lodged itself in my memory,” O’Brien says. That was the beginning of a life-long interest which has led him to learn Piazzolla’s own instrument, the bandoneon, travel to Argentina to study, research and perform tango music, and even to make a career out of it. In his day job, O’Brien is a professor of ethnomusicology. O’Brien has created for the group a repertoire of little known and original tangos, waltzes and milongas as well as many tango classics. Quinteto Yzafa has passion and zing … At times bold and brash and at other times heartbreakingly tragic, it covers every emotion in the spectrum. 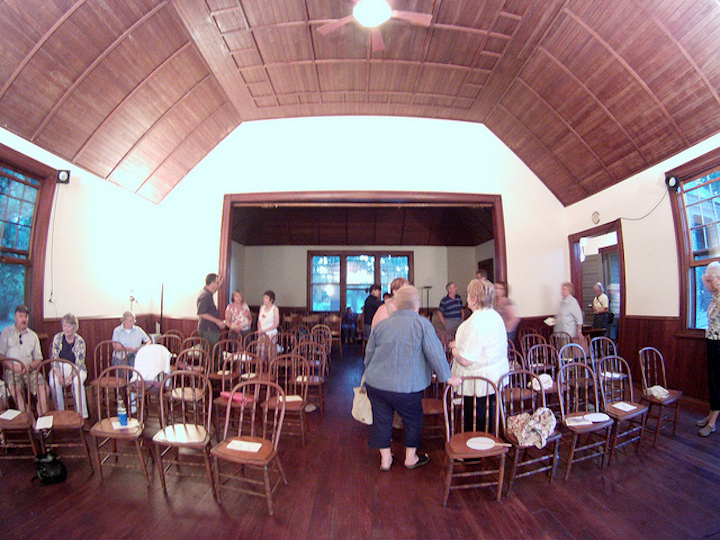 The Unity Chapel (below top is the exterior, below bottom is the interior) is located at 6596 County Road T, just east of Highway 23. 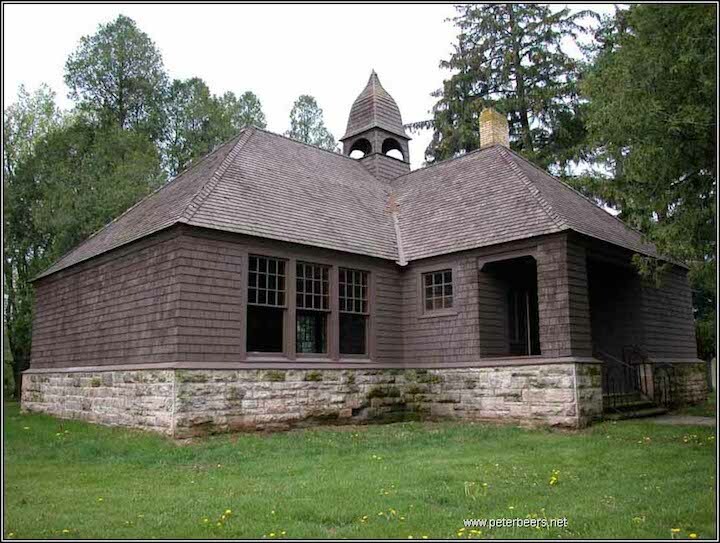 The chapel is a living testament to the simple and contemplative lives early settlers created for themselves in southwest Wisconsin. There is no ticket charge but a freewill offering to support the concert series will be taken. OR contact Kent Mayfield ruralmusiciansforum@yahoo.com. Classical music education: One of the Wisconsin Youth Symphony Orchestras will embark on an international tour to Argentina that runs July 24 to Aug. 3. So WYSO says “Bon Voyage” with a FREE send-off preview concert on this coming Tuesday night, July 22, at 7 p.m. in Olbrich Gardens. The young musicians of Wisconsin Youth Symphony Orchestras (WYSO) and its premier performing ensemble, the Youth Orchestra, are preparing for a fantastic opportunity this month when they will tour to Argentina. 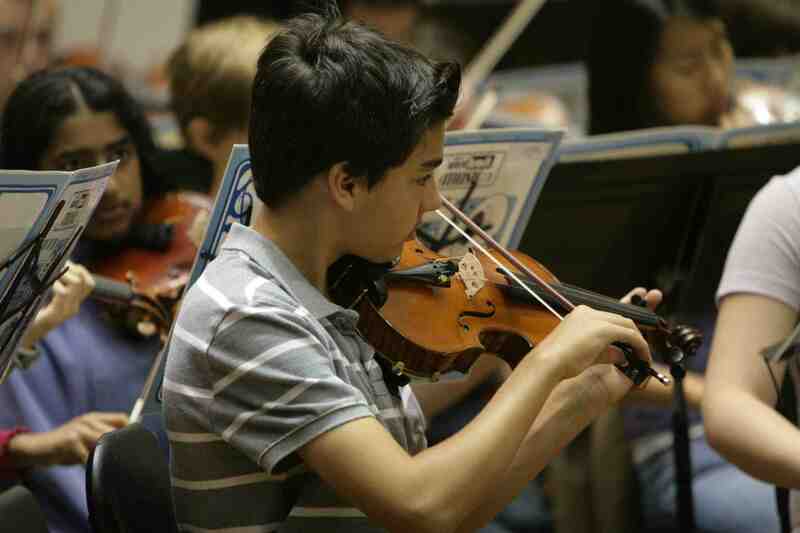 Youth Orchestra members will have a chance to visit the three cities of Buenos Aires, Rosario and Mar del Plata. While in these cities they will visit some of the most beautiful places in South America and perform in world class venues. 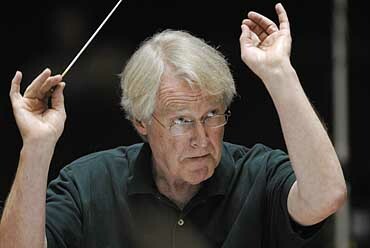 The tour will be led by WYSO Music Director James Smith (below). 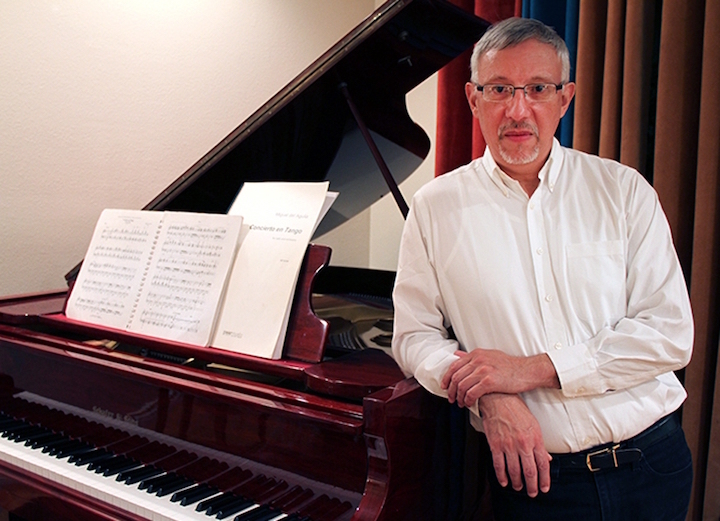 He has served as conductor of the Youth Orchestra for 29 years and also serves as the Director of Orchestras for the University of Wisconsin-Madison School of Music, where WYSO is housed. The tour will run from July 24 to August 3. 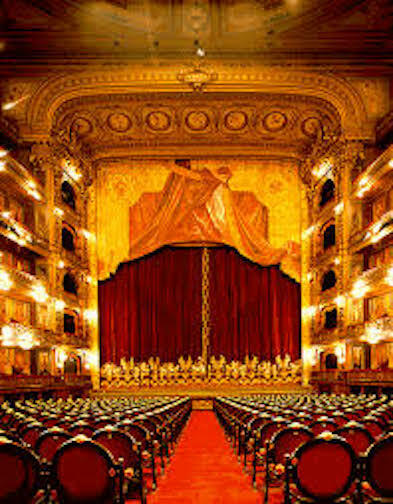 It will include performances at Facultad de Derecho, the famed Teatro Colon (below) in Buenos Aires, Escuela 23 Distrito Escolar, La Usina de Musica, and Teatro el Circulo. 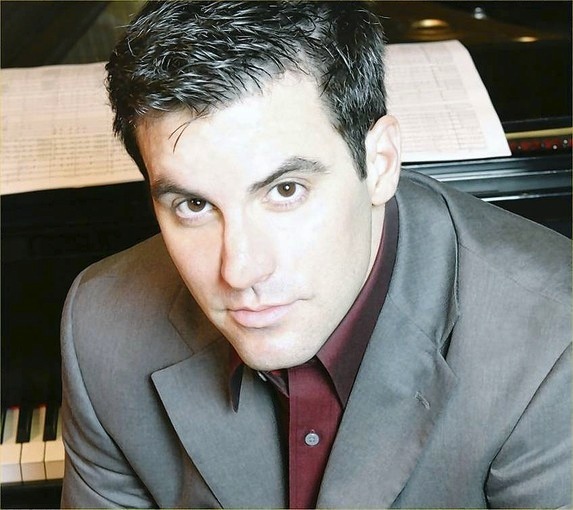 Repertoire for the tour will include the Overture to “Candide” by Leonard Bernstein, “Billy the Kid” Suite by Aaron Copland; Liturgical Scenes by Dwane S. Milburn, the Symphony No. 4 in F Minor, Op. 36, by Peter Tchaikovsky; and “Malambo” from “Estancia” Suite, Op. 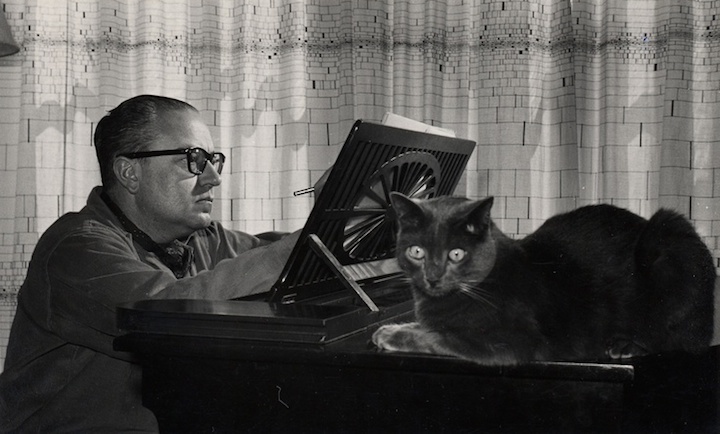 8a by Argentinean composer Alberto Ginastera (below). 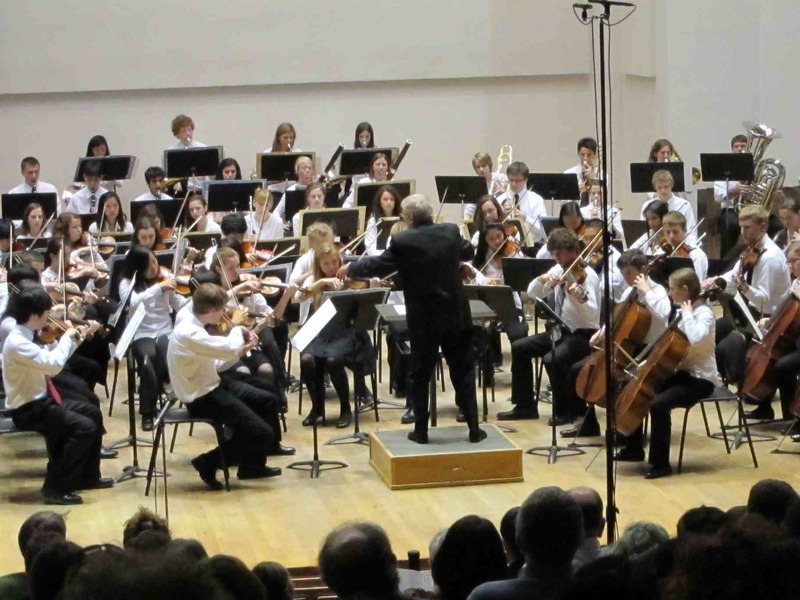 The Youth Orchestra will be posting a live blog before and during their trip to keep friends, family, and supporters of WYSO up to date with how the tour is going. The writers will mainly be students, but a handful of chaperones will also be offering their perspectives. You can visit the blog, and bookmark it, at http://wysotour2014.blogspot.com. 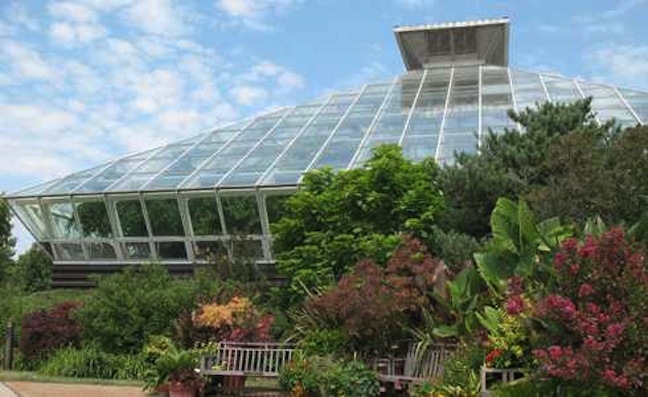 Prior to departing on their international tour, the Youth Orchestra members will give a bon voyage send-off concert at Olbrich Botanical Gardens this coming Tuesday night, July 22, at 7 p.m. 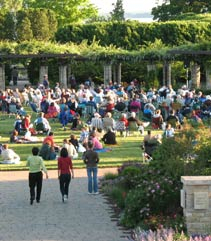 The concert is FREE and outdoors (weather permitting; otherwise it will be held indoors), and is open to the public, with a $1 suggested admission donation to support the gardens. The Ear thinks it would be great if local media – especially television – paid as much attention and gave as much coverage (even an audiovisual sample or clip with a voiceover) to these distinguished cultural ambassadors and exceptional products of music and arts education as they do to, say, student athletes. Since 1966, WYSO has been providing excellence in musical opportunities for more than 5,000 young people in southern Wisconsin. WYSO includes three full orchestras and a string orchestra, a chamber music program, a harp program, a percussion ensemble, and a brass choir program. The orchestras rehearse on Saturday mornings during the academic year, perform three to four public concerts per season, and tour regionally, nationally and internationally. 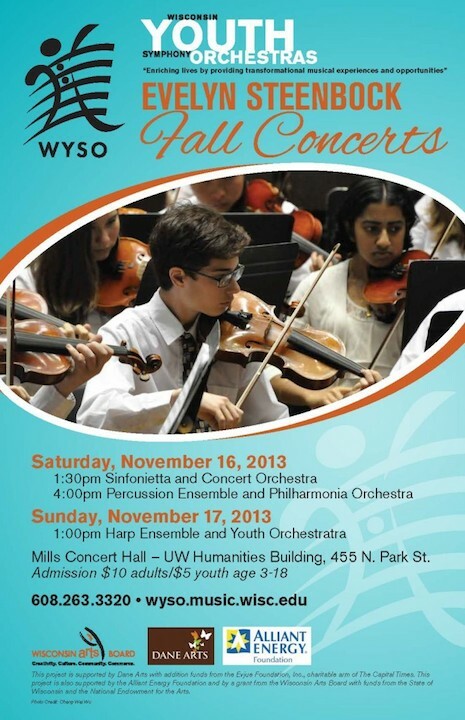 Classical music education: Wisconsin Youth Symphony Orchestras (WYSO) presents fall concerts this weekend. Plus, the Pro Arte Quartet concert on Nov. 22 has been CANCELLED. 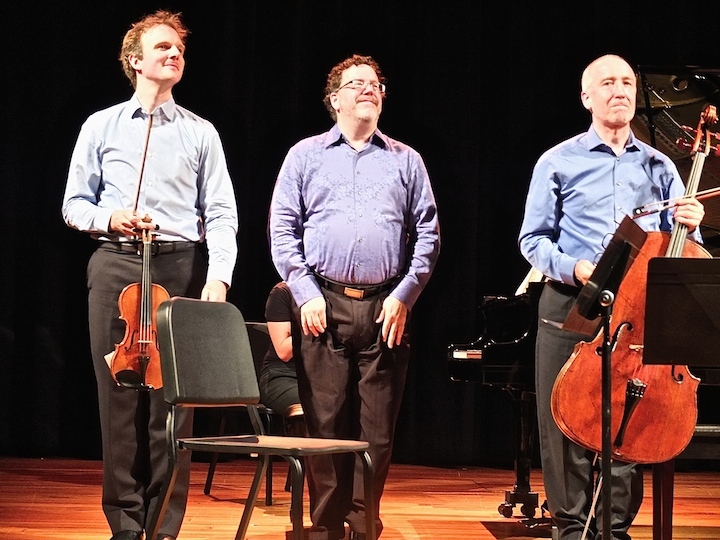 NEWS FLASH: The concert and all attendant events by the UW-Madison‘s Pro Arte Quartet, centered around the world premiere of Belgian composer Benoit Mernier’s String Quartet No. 3, scheduled for Friday, Nov. 22, 2013, has been CANCELLED. Plans are to reschedule the concert and events for the weekend of March 1 and 2, 2014. I will pass along more news as I get it. This year also has all the makings of a banner year for WYSO. Enrollment – by audition — is up. 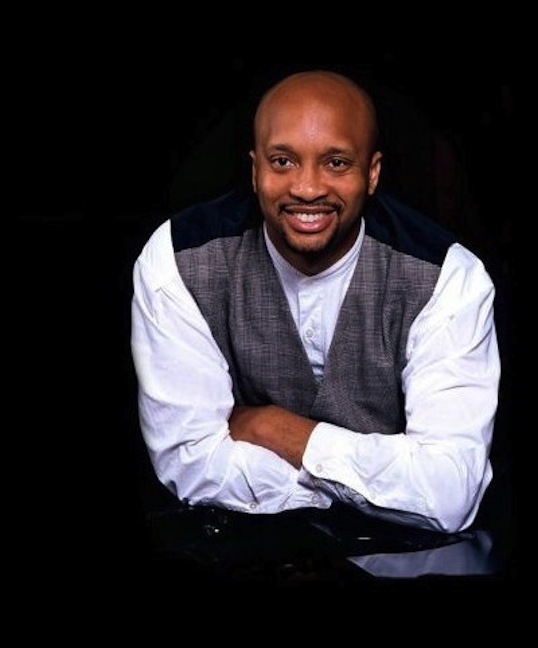 WYSO just landed a $200,000 gift to set up an endowment fund (from the Theodore W. Batterman Family Foundation in memory of former WYSO member Eric D. Batterman) for its percussion program. 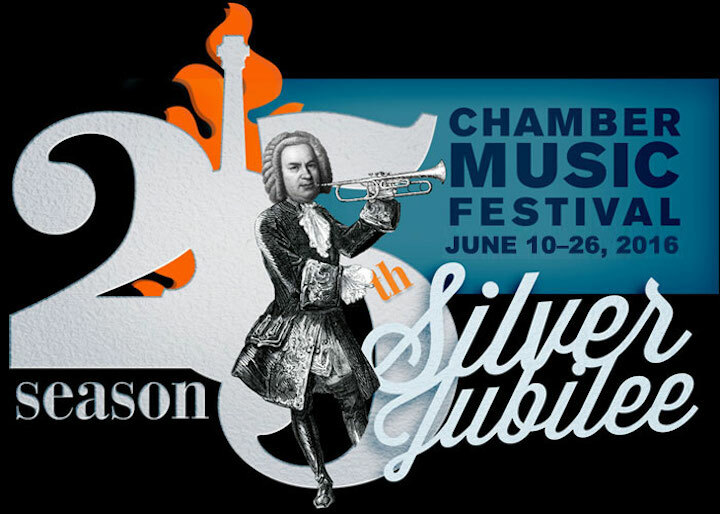 The chamber music program has expanded. Fundraising is going well. And a tour to South American is scheduled for the spring, including a concert at the famed Teatro Colon (a photo of its plush interior is below) in Buenos Aires, Argentina. All that gives one reason to celebrate – which is exactly what you can do this Saturday and Sunday when WYSO groups perform for the public. And they can really play, as you can hear at the bottom in the YouTube video of WYSO student performing the difficult Finale to Dmitri Shostakovich’s epic Fifth Symphony. 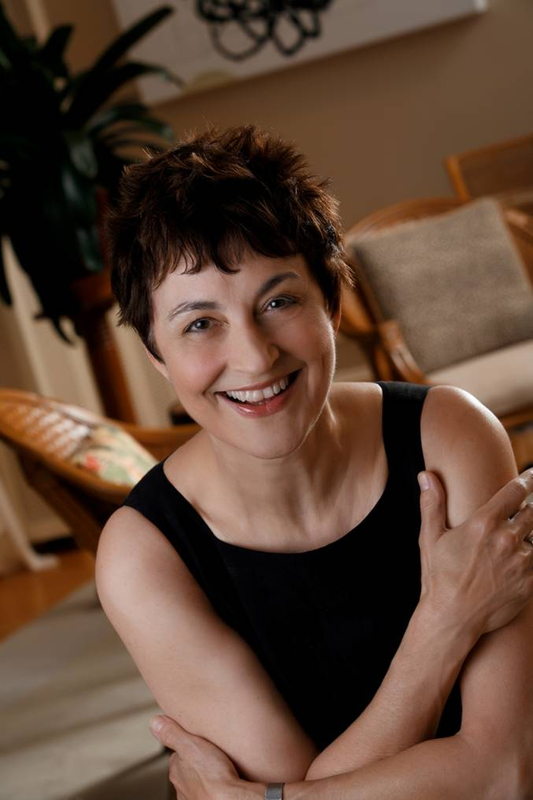 “WYSO will present its first concert series of the year, the Evelyn Steenbock Fall Concerts, on Saturday, November 16, and Sunday, November 17. 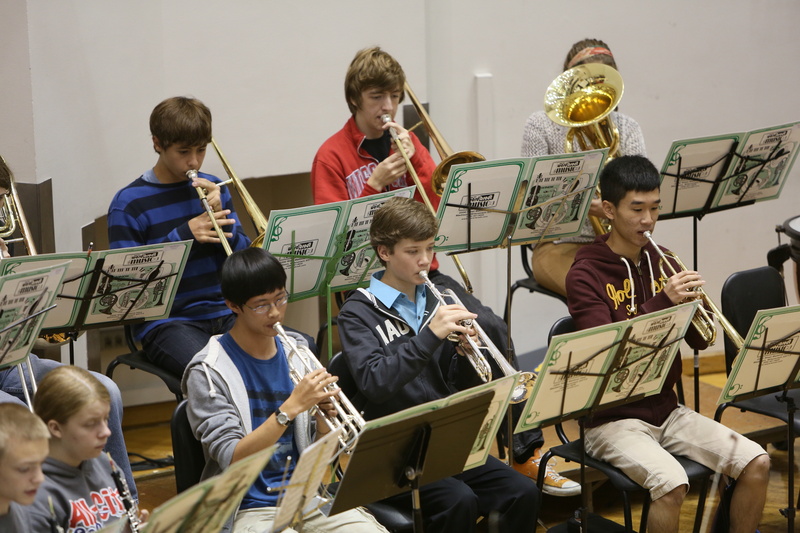 “More than 350 young musicians will display their talents to the community during the three concerts, which are dedicated to local music teachers. 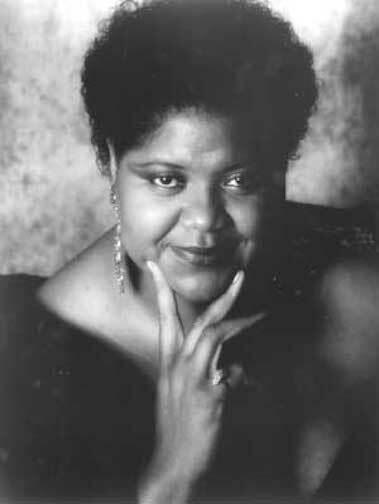 “The Evelyn Steenbock Fall Concerts will be held in Mills Concert Hall in the UW Humanities Building, 455 N. Park Street, Madison. 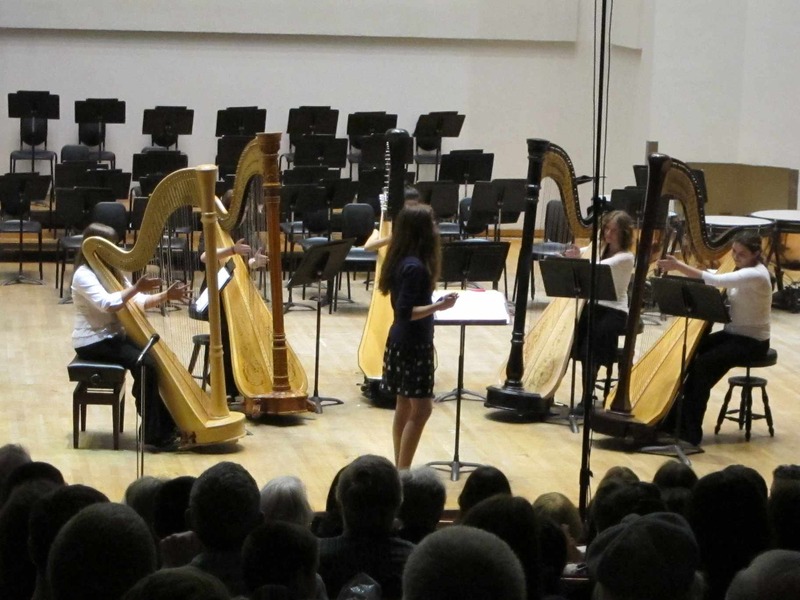 “WYSO concerts generally run about an hour and a half in length, providing a great orchestral concert opportunity for families. “Tickets are available at the door, $10 for adults and $5 for youth 18 and under. The Concert Orchestra will follow with selections from “West Side Story” by Leonard Bernstein and “Russian Chorale and Overture” by Piotr Tchaikovsky. 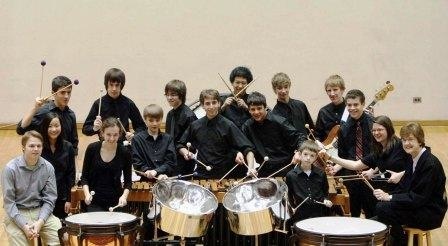 At 4 p.m. on Saturday, the popular Percussion Ensemble will perform “Sleepless” by Dan Moore and “Prelude to Paradise” by Jacob Remington under the direction of Vicki Jenks, in her 32nd season at WYSO. The Philharmonia Orchestra (below is its brass section) will then entertain the audience with “Rákóczi March” from “La damnation de Faust” by Hector Berlioz: the Largo from “Xerxes” by George Frideric Handel; “The Montagues and Capulets” from “Romeo and Juliet” by Sergei Prokofiev, and selected movements from Ludwig van Beethoven’s Symphony No. 5. 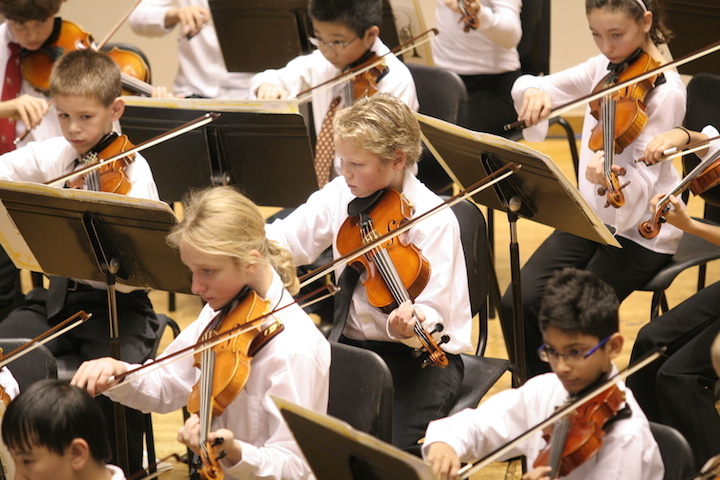 The Youth Orchestra will close out the concert series with Aaron Copland‘s “Billy the Kid” Suite and Antonin Dvorak’s Symphony No. 8 in G major, Op. 88. 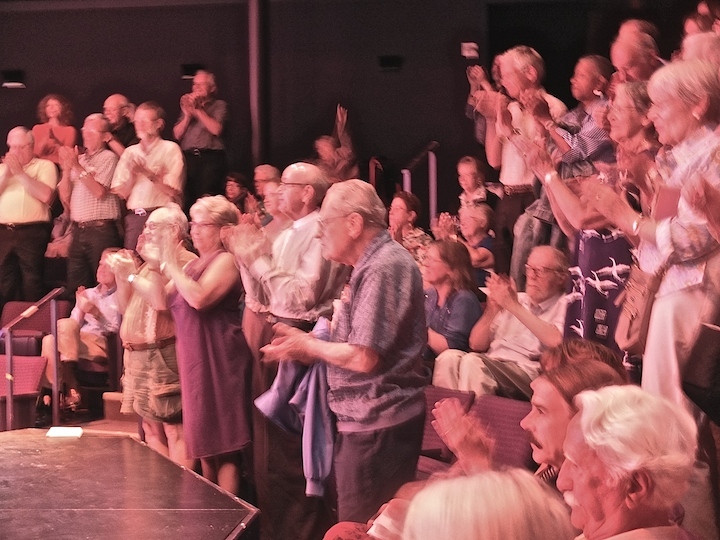 The fall Steenbock concerts are is supported by Dane Arts with additional funds from the Evjue Foundation, Inc., charitable arm of the The Capital Times. This project is also supported by the Alliant Energy Foundation and by a grant from the Wisconsin Arts Board with funds from the State of Wisconsin and the National Endowment for the Arts.